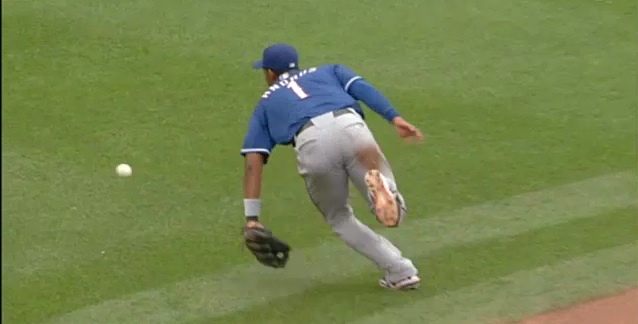 Elvis Andrus chases one of the balls that likely led to his mental lapse later in the game. 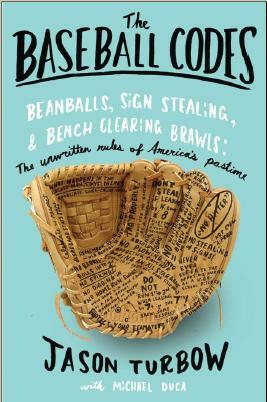 Whenever they make headlines, baseball’s unwritten rules inevitably invoke something that happened regarding some indignity and the response to it. It’s frequently the kind of stuff that stirs debate about whether this whole Code thing is worth it and why are grown men throwing baseballs at each other, anyway? These issues are inevitably about respect. When Elvis Andrus violated an unwritten rule last week, it was also about respect, but it had nothing to do with the the opposition. Andrus, at least in the eyes of his manager, showed insufficient consideration for his own teammates. In the eighth inning of Sunday’s game against the Twins, Andrus fielded a grounder hit by Rene Rivera and half-heartedly flipped the ball to first, pulling Michael Young off the bag. The best guess is that the shortstop’s head was elsewhere, after he committed an error an inning earlier, and failed to convert another play that he frequently makes. Following the error, Minnesota scored five unearned runs in an eventual 6-1 victory. Perhaps Andrus simply felt that because Rivera is a slow-footed catcher (one stolen-base attempt in parts of four major league seasons) the throw merited something less than his best effort. The play wouldn’t have received much attention had manager Ron Washington not addressed it directly; the following inning, when it was Andrus’ turn to hit, Andres Blanco stepped to the plate instead. If anything, this type of play is even less defensible than a hitter failing to run hard out of the batter’s box; the batter, at least, is expecting somebody else to make a play on him. This was a teachable moment for Washington, but based on Andrus’ postgame comments, it’s unclear if any learning actually took place. He should remember that Washington showed some tact with his actions, waiting until his shortstop had already left the field to pull him. When Reggie Jackson angered Billy Martin by failing to hustle after a flyball in 1977, the Yankees’ skipper removed him in the middle of the inning (famously leading to a near-brawl in the dugout). Ron Washington is no Billy Martin when it comes to fiery temperament—and as much as Andrus might complain privately about his treatment, as far as he’s concerned, that’s a very good thing. Previous postYou Talk too Much, you Trot too Slow: Wilson Ramos, Come on Down!